I almost forgot this was a thing. Last night CNN hosted the first Democratic debate of the 2016 Presidential election in (insert dramatic drumroll)… Las Vegas, Nevada? CNN started the debate off with hours of pre-coverage including behind the scenes preparation for a just in case scenario of Joe Biden arriving on Air Force 2 to attend a debate in a race he has not even declared for. Then, after these hours of nap inducing pre-coverage, the debate began in surprising style. CNN played what amounted to a movie trailer introducing their audience to the exciting candidates about to take the stage. And take the stage they did! Exciting, with the exception of a moment or two, they were not. There was the surprising, but not so much if you analyze it, Bernie defense of Hilary Clinton and the case of the embarrassing email server. There was also a couple of totally cringe worthy awkward exchanges from “the other guys” this debate was exactly what I was expecting. This fact is comforting but also a little sad – the Democratic party is not nearly as cutting edge as they would like to think. So, let’s take a look at the winners and losers. Anderson Cooper, for hosting a debate that pressed hard while still allowing the candidates time to present their vision. Hillary Rodham Clinton, for seeming like a real person and not dropping any new ammunition on national television. Also for being surprisingly entertaining and refreshing after 20+ years on a public stage. Bernie Sanders, for not completely imploding under decent scrutiny. CNN, for weird placement of the debate, a boring stage (particularly in comparison to their Republican staging), and hyping a serious national debate into something akin to a reality show. Martin O’Malley, for blatantly appearing to be an empty suit. “The other guys”, for you know being on the stage for no apparent reason. 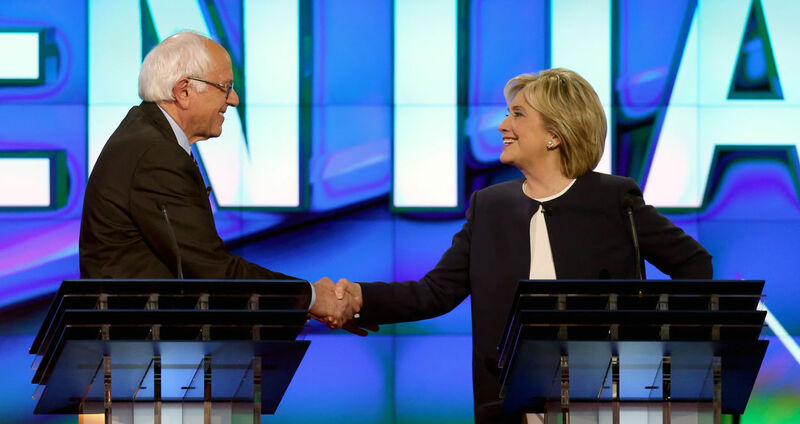 Need more Democratic debate coverage? Hit the links below or do the whole Google thing. Random Acts of Violence: Is there a culprit being ignored? June 12, 2014 Chelsea Sherman Comments Off on Random Acts of Violence: Is there a culprit being ignored? Does Trump Support Planned Parenthood? February 22, 2016 Philip Reynolds Comments Off on Does Trump Support Planned Parenthood?